Most people associate down and feather quilts with winter warmth. 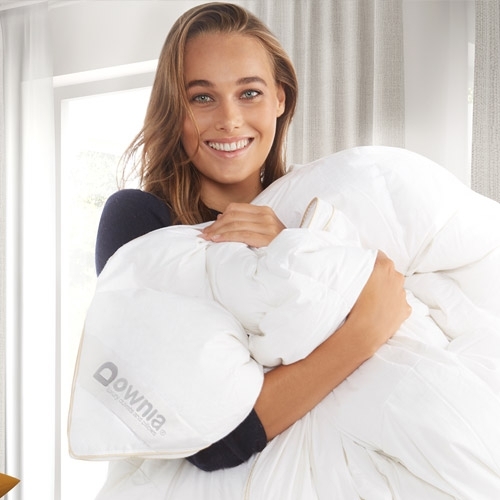 But with the Downia Four Seasons White Goose Down and Feather Quilt Doona, you can enjoy a restful night's sleep every day of the year—all with the exceptional quality of Downia. 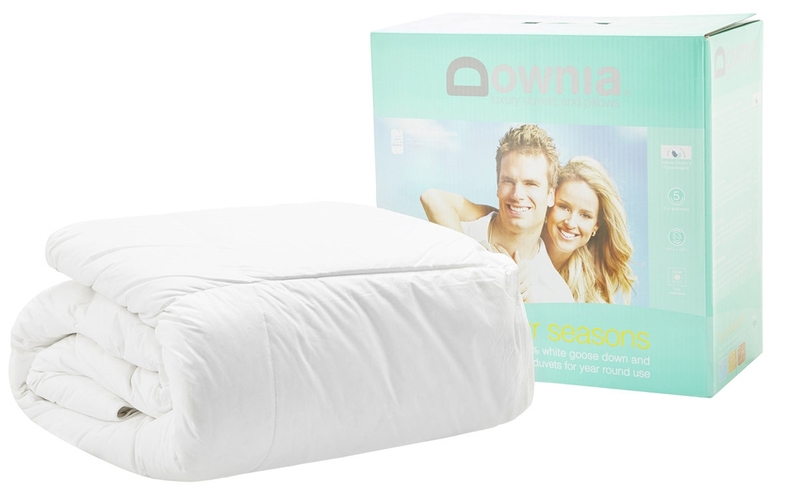 The Downia Four Seasons White Goose Down and Feather Quilt Doona comes with two matching duvets: a lightweight white goose down doona for summer use, and a medium weight white goose down quilt for spring and fall. These duvets can be secured together using the included clips for an warm winter quilt. Handcrafted from premier materials to the highest quality standards, this feather quilt doona set is the only investment you'll need for a lifetime of restful sleep. These white goose down and feather duvets are filled with 50/50 White Goose Down duvets and are ideal for year rounduse. It includes a light weight duvet for summer, and a medium weight duvet for Autumn and Spring. Clip the two together and it becomes a Winter duvet. 100% Australian Owned. Since 1911 Downia has perfected exclusive selection and grading techniques of down which ensure that maximum loft and comfort is achieved and maintained for many years.